Welcome to North Georgia Replacement Windows’ fourth edition of The Social Sash Quarterly Newsletter. As the leaves are changing and the weather is getting colder, now is the perfect time to evaluate the energy efficiency of your windows, doors or insulation. Call us today or click here to set up your free in-home proposal! What is big enough to be called the world’s largest Christmas project of its kind, yet small enough to fit inside a simple shoe box, with contributors such as U.S. Presidents Ronald Reagan, Bill Clinton and George W. Bush? If you guessed Operation Christmas Child (OCC), you are correct! This organization is near to our company for several reasons. Not only have some of us participated through church groups and with our families, but one of our employees also interned in their Alpharetta office before coming to work at North Georgia Replacement Windows! OCC is a worldwide children’s project of Samaritan’s Purse that uses simple gift-filled shoe boxes containing school supplies, toys, necessity items and notes of encouragement to let hurting children know God loves them and they are not forgotten. This year, they are expected to reach a milestone, with plans to deliver more than 100 million boxes since the project began in 1993. With more than 3,200 drop-off sites in all 50 states, OCC is excited to see the boxes start rolling in during National Collection Week this week (November 12-19). To find a location near you, click here. After November 19, boxes can be sent through ‘Build a Box,’ an online tool offering a personalized and convenient way to send shoe boxes. For guidelines on what to pack, click here. Once you’ve packed your boxes, you can contact the regional office nearest you to schedule a time to work in one of OCC’s processing centers as they prepare the boxes to be delivered to more than 100 countries. True, it’s not even Thanksgiving yet, but what better way to usher in the spirit of Christmas than to take time to help a hurting child in need! North Georgia Replacement Windows (NGRW) is honored to announce we’ve been awarded the Consumer’s Choice Award for the fourth year in a row! This means so much to us because it’s decided upon by the consumer, and for that, we’re truly grateful! Along with this award, NGRW is also currently in the runninng for two other achievements: Kudzu’s ‘Best of Atlanta’ and Guild Quality’s ‘2013 Guild Master Award.’ The Kudzu award is voted upon by consumers, so please click on the link above to vote for NGRW. As a bonus for voting, you could win a free iPad! Need some extra money for Christmas? Click here. Along with the fun that comes with Fall, it also brings cooler temperatures. With that, it’s important to make sure your home is properly weatherized. 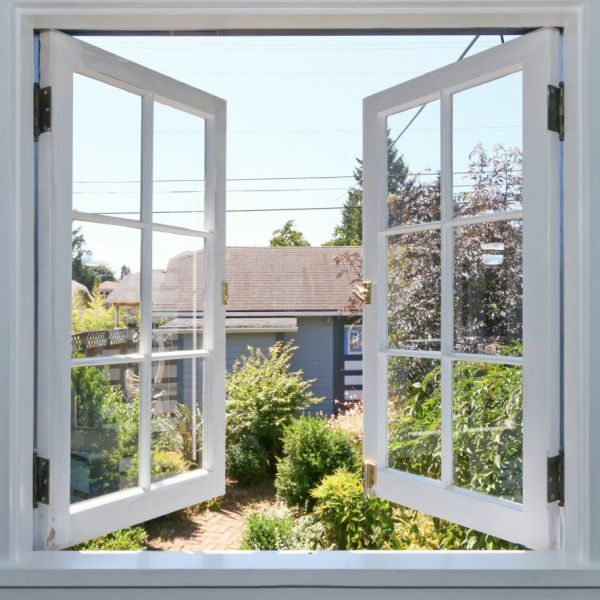 Beyond windows & doors, a very important, and often overlooked, area is your air duct system. Unsealed areas in your attic and crawlspaces could be costing you money. Here a few tips to prevent any more unnecessary heat and/or money loss! If you use tape to seal your ducts, avoid cloth-backed, rubber adhesive duct tape — it tends to fail quickly. Instead, use mastic, butyl tape, foil tape, or other heat-approved tapes. NGRW is a certified BPI Building Analyst and can help you with your energy audits.